Our illustrious and distinguished investors bring to Quadio outstanding guidance underpinned by vast experience and singular knowledge spanning over decades and across industries, ensuring a clear growth path forward for the company. Dr. Patel has served and is currently serving on the board of several leading technology companies and start-ups in the technology sector. Dr. Patel was the Chairman of the Board of Aavid Thermalloy until the company was sold in 2010. Prior to that he was the President and CEO of Aavid Thermalloy and its predecessor Aavid Thermal Technologies, headquartered in Concord, New Hampshire. Aavid is a leading manufacturer and provider of thermal management solutions with manufacturing plants in the US, Europe and Asia. Dr. Patel joined Aavid when it acquired Fluent Inc. in 1995 and became Aavid Thermal Technologies, Inc. He has played a major role in taking the company public in 1996. He became the President and COO of Aavid in 1997, and became CEO and President in 2000 when the company was purchased by a private equity firm. Prior to the sale of Fluent Inc. in 2006 to Ansys, Inc., Dr. Patel was also the CEO of Fluent Inc. which markets Computational Fluid Dynamics (CFD) software to engineers around the world for the modeling and analysis of fluid flow and heat transfer phenomena. 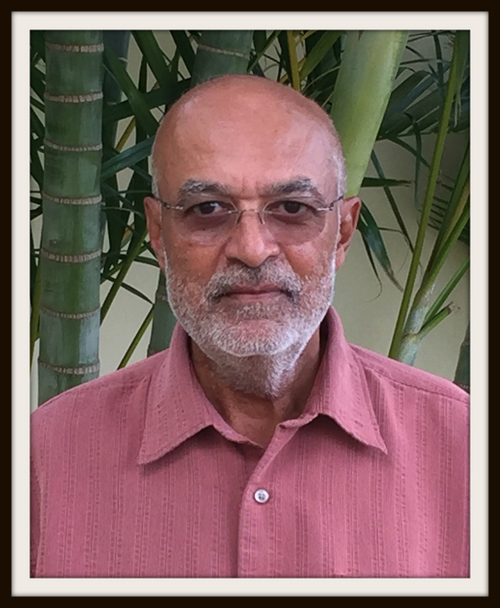 Dr. Patel was the principal founder of Fluent Inc. and grew the company from a small team within Creare Inc. in 1983, to a worldwide leader in CFD software with operations in Europe, Japan, Korea and India. Before founding Fluent Inc., in 1988, Dr. Patel was a principal and VP at Creare, Inc., a engineering consulting firm. In this capacity, he directed and managed engineering service projects for government and industry involving the use of computational and experimental fluid dynamics. His areas of technical expertise include fluid dynamics, multiphase flow, heat and mass transfer and turbomachinery. Earlier, Dr. Patel joined Creare in 1976 and worked as a Senior Engineer in the Power Systems Group of Westinghouse Electric Corporation, from 1971 to 1976. He was in the Advanced Technology Development Group and was responsible for the development and testing of power generation turbines. The author of many papers in various areas of fluid dynamics, Dr. Patel received his BE Mech. From the BVM Engineering College, MS from the Illinois Institute of Technology and his PhD from the University of Pennsylvania, both in Mechanical and Aerospace Engineering. Jeff White leads a growing team of independent financial professionals providing advisory services to a broad range of clients ranging from Fortune 500 companies to law firms, healthcare organizations, retirement plans, and individuals. Jeff enjoys exchanging knowledge and has lectured in universities and numerous regional financial forums. An honors graduate of Wharton with an MBA in Economics and a BS in Finance from Iowa State University, Jeff holds Series 7, 24, 63 and 65 securities registrations. He holds both the Chartered Financial Consultant (ChFC) and Chartered Life Underwriter (CLU) designations with over 40 years experience in serving a wide ranging clientele. Jeff has designed and implemented executive incentive compensation plans for some of the largest companies in the nation, including major banks, large healthcare organizations and numerous public and private companies. The AFG team of specialists provides retirement transition services for executives and professionals using some unique “Decision Support Tools.” He has been on Advisory Boards of a number of financial companies including Fidelity Investments, Russell Investments, Connecticut Mutual Life, MetLife and General American Life. His wife Donna and Jeff live in Radnor, PA and Palmas del Mar, Puerto Rico. They have two successful children, (both with advanced degrees), and four grandchildren. The Whites love to travel and have been in more than half of the countries in the world. Chirayu Amin is the Chairman and Managing Director of Alembic Pharmaceuticals Limited, the flagship company of the Alembic Group, which is more than a century old business house of India. Alembic is a pioneer in the healthcare/pharmaceuticals industry, with business interests in Fine Chemicals, Glassware, Real Estate, Engineering Machinery, etc. Chirayu Amin is the former President of FICCI and has also held apex positions of a number of industry and sports bodies of India. Besides, he is also trustee of various charitable trusts. Rimpal Chawla brings over two decades of experience in investment banking having worked at Credit Suisse, Goldman Sachs and Citibank in U.S., Hong Kong and India. He served as a Managing Director in the Private Banking and Wealth Management division of Credit Suisse before leaving his corporate banking career in 2014 to start a boutique investment and business advisory firm, Anitya Ventures. Rimpal started a SEBI registered AIF (hedge fund) in 2015 and is affiliated with many startups as an investor and business advisor. Rimpal also teaches a Company Valuation course at IIT Hyderabad. Rimpal is a CFA charter holder and a Chartered Accountant. He is an active angel investor, an Ericsson certified Executive coach, a TiE charter member and a mentor at Founder’s Institute.